I Got My Flippy Floppies…. The jargon is hot stuff…. 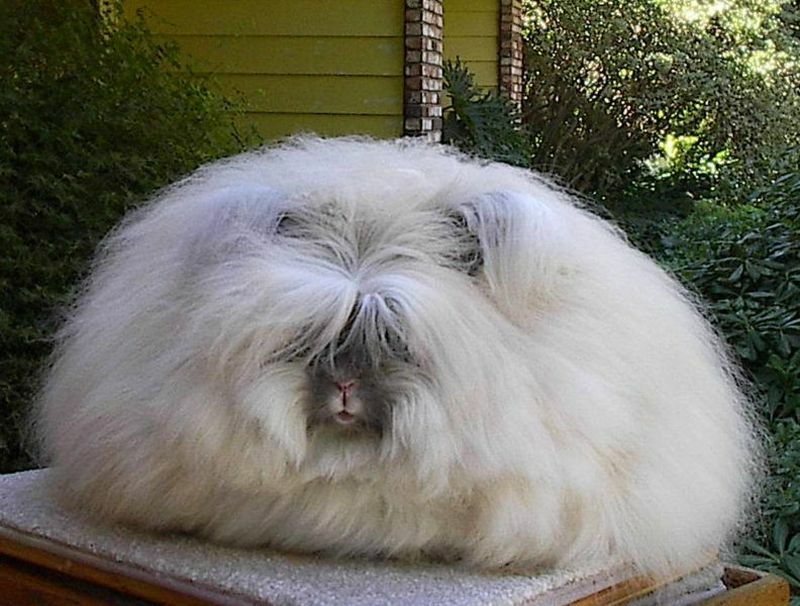 the concept however….. is fuzzier than a first class Angora rabbit. The “flipped” craze rhymes quite strongly with all those concepts espoused under the notion of active learning techniques: peer instruction, kinesthetic and highly social classrooms, active interaction instead of passive reception, problem-based learning, inverted classrooms, student-led inquiry….etc…etc…. In short, it no-more points to a specific technique than the words “active learning” and if that’s what it takes to get buy-in from instructors then have at it! Flipping ain’t flippin’ new! It just isn’t…. BUT!!!! There is potential for true innovation here. Why not flip with already available sources? Why not make use of the best of the resources offered by the MOOC Community (Massive Open Online Course) from well-established organizations like the Khan Academy and MIT’s Open Courseware system? I know…. I know….. blasphemy….. allowing some other professor to lecture my topic for me? But consider the benefits…. First, you can flip a course without having to mess about with recording yourself (which is damned awkward anyhow). Second, you can bring all sorts of different lecturers into your course at no cost. Third, this leaves you classtime open to really push on the concepts and ideas. I would likely eliminate a textbook in lieu of the online lecture. But I would still assign my usual scholarly article snippets with guided reading questions. My hope is that in roughly the same period of time of preparation my students will have prepared themselves more effectively. Stay tuned… I’ll try it out next week and see how it goes. Thanks for this interesting reflections and I am looking forward hearing about your experiences. in our PBL set-up students are supposed to prepare in self-study (6-7 hours ideally) and then share and reflect on their findings in the group with one faculty member in order to deepen understanding for concepts etc. We normally assign readings for the self-study of students, but lately I also often throw short videos or other materials in the mix. Just when reading your post, it began to dawn on me that this goes in the same direction – to let students work through the materials outside the classroom and in their own pace, but then use the contact hours to compare their gained knowledge, discuss problems and challenges and answer remaining questions. 1. (Under what conditions) do you provide the links for students, assign specific online lectures (or readings in the traditional sense), or (when) does it make sense to just set the topic but let students search for the materials that they want to use themselves? For now I try to mix the two approaches – more guidance for less experienced students, less guidance for experienced ones (although then I discovered that it is really important to talk about how they selected sources and if/how they assessed their appropriateness/relevance). 2. When does it become too much of stimulus and outside-the-classroom activity? I sometimes wonder if I am not overwhelming students with articles to read, videos to watch, discussion fora etc – did you ever have the impression that there was too much activity going on? I don’t worry about overwhelming students’ time and energy with outside-of-class assignments because a major problem where I work is student academic engagement and rigor. I want them reading outside of class a lot more than they typically do, and the only way they are going to do that is by assigning writing that is tied to the course grade. I make sure that the readings are extremely well-written (which often means excluding texts written in dense, uninteresting academic lingo or textbooks that are nothing but lists of context-less facts). I use “real” books, including autobiographies — students really gravitate toward personal accounts. I then provide the wider context. My problem is the opposite — I’m finding it harder and harder to fill class time with what I think is relevant and useful. Maybe what I think is incorrect, but if I can get students to read, write, and think independently of a physical classroom, why have class at all? especially your experience with “well-written readings”: for some time I thought students would prefer the boring textbooks because they make their lives easier. All substantial facts (in my case the EU) are collected there; but actually students seem to hate that: they do not want this prepared material but they want exciting reading that they can decipher themselves, work with, (dis)agree with. I guess what is then left for us as instructors is to help/facilitate students in putting those readings in context, to be able to criticize/agree with them, to be able to puzzle the different accounts together and use them for their own understanding; Might sound like an easy task, but I actually think this needs lots of attempts, trials and interventions. For the rest it is merely an observation/feeling but I think that students could profit from us academics showing more strongly that 1. we do not have perfect answers to everything and 2. academia grows by deliberation, disagreement and discussion, i.e. that there is not the ONE answer but that academics actually disagree about a lot of things; My impression is that many colleagues do not feel comfortable with showing this kind of “weakness” (in their view), but providing students with additional different perspectives than those that they encountered in the reading, and then working with them towards assessing the relevance/validity/suitability of the argument and also the “cause” of the disagreement could perhaps be a way of filling class time? For quite some time I totally ignored this idea that students use us instructors as role-models (what a scary thought :)), but why not use this idea more actively and strongly in showing students the often chaotic and complex way of how we make up our minds as academics?